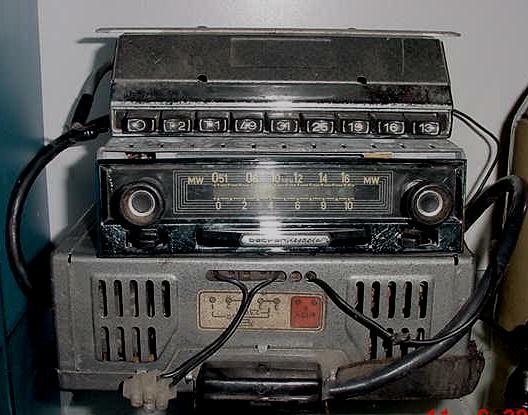 Newsletter No.023 Becker radios, 219 restoration, 2002 ML-Class. Big week, this last week. Our ISP closed down and we had to change servers for our website. If you were checking it out this last week you would have seen quite a few images were missing and some strange things happening with the file extensions. Most of it is sorted out now, but it will take at least another week before I get it perfect. The site is now hosted by Ferro Australia. We have also had some problems with lost e-mails and delays with replies. If you have experienced any of this, we appologize. Any questions? Or you want to get off the list? E-mail us here. Two sites this week for you. 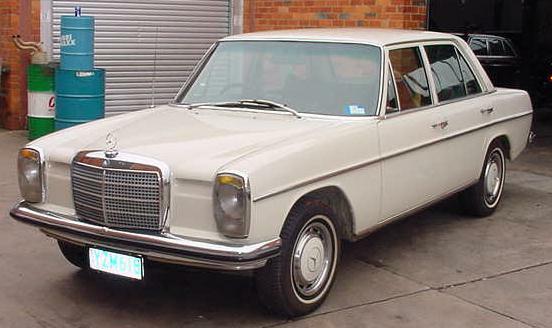 If you are right into your classic Mercedes-Benz you will know that getting the right radio is an important part of the restoration. Have a look at this site. Apparently this company has brought up all the old stock from Becker and set themselves up with a great little niche business. Go to the special sets link and check out the radios for the old Roundies and 170's. I have one customer with a 220a that I know would just about do anything to get the right radio for his car. We have a few beckers in stock at the moment including one that would suit most 1960-65 model cars. Have a look at this guys enthusiasm to keep his fathers car on the road. Håkan Johansson's site about his fathers 219 is quite good. Only 395 visitors to it when I came across it but should get heaps more as others find out about it. It really is quite amazing how many of these sites there are littered around the intenet now. Many of them are hard to find as they don't make much of an effort to list them with search engines and most have very long URL's. 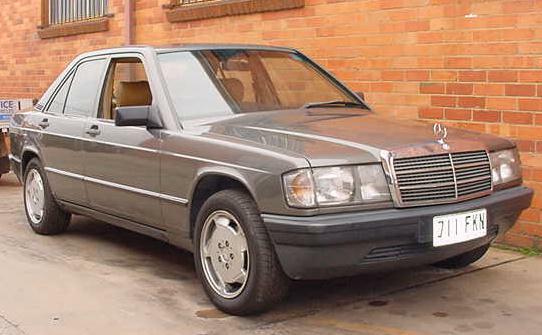 We sold the 300E last week, but the sale on the A160 has fallen through. I have decided to register the car and keep it for a while as Sandra loves driving it. 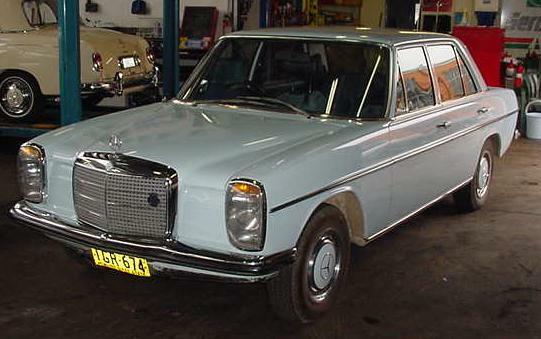 We have two very nice W115 220 compacts for sale at the moment. One is a car that I have sold before. In 1995 I purchased it from the widow of the original owner. It had travelled a mere 15000kms and was almost as new. Now 6 years later, it is almost still in the same condition and has travelled only another 30000kms. The other one is a great little car that has had a recent respary and has a great service history file. We also have a 380SEC coming into stock this week, have no seen it yet but it sounds great. Red duco with cream leather, very original car with 180000kms. More info on this one in the next newsletter. Have a look here for a full list of our cars for sale. 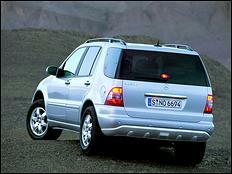 Mercedes-Benz has released the first pictures of the model year 2002 M-Class due to hit our shores late in 2001. More safety, more dynamism and even more motoring fun – these were the primary objectives during the development of the new Mercedes-Benz M-Class. Specialists at Mercedes have significantly upgraded the design, interior, technology and standard appointments of this attractive and very successful four-wheel-drive model series in line with customer requirements. All in all, more than 1100 components have been newly developed or modified during the course of this facelift. 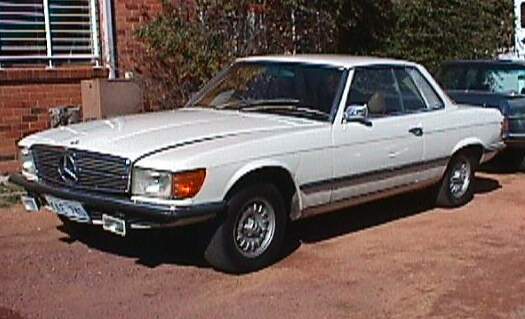 The M-Class has been a bestseller in Australia since it was first launched in 1998, capturing the enthusiasm of over 5,800 customers (300,000 world-wide). With a market share of over 35 percent the Mercedes-Benz M-Class is the most successful model in its market segment in Australia and among the safest, as the American ”Insurance Institute for Highway Safety“ confirmed after a series of crash tests. 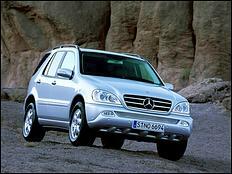 On a year-to-date basis, M-Class sales are up 8.8 percent on the previous year.